BULL BASIN RANCH has the best prices for the quality of our Trophy elk hunts in North America. We can accommodate hunters of any age and physical ability. private land tags hunting licenses. Extremely massive wide typical elk. We have one of the largest scenic hunting ranches in all North America giving you a fun and exciting hunt as close to a free range hunt as you can get, yet maintaining a 100 % success rate. Hunting area is mostly flat with big valleys, lots of aspen & pine forest, beautiful open sage parks, lakes & creeks full of trout. We can accommodate hunters of any age and ability from a rough rugged hunt to clients that have ranged in age 12 years to 92 years old . You do not need to purchase a state hunting license or hunter safety card to hunt with us. You can hunt from September 1 through November 31 with a rifle or bow, We specialize in Archery hunts. Amazing Staff and knowledgeable guides who make the difference. One of the nicest 5 star hunting lodges in all North America, with full staff a an amazing Chef to prepare some fantastic meals while you there. Large private suit rooms with king or queen beds,set on your private decks with amazing views listening to the elk bugle & wifi and all internet, all cell phone work in our area. Bull basin Ranch has one of the only indigenous elk herds numbering over 600 head of elk with some of the biggest bulls in the world coming out of this herd every year. Great location only 45 minutes from both private and commercial airlines out of Montrose Colorado & just 50 minutes to the ranch. driving you would be just south of Gunnison Colorado on Hwy 50. Excellent meat processing that can ship or process in a 24 hour time frame, as well as great taxidermy work if needed or we can ship to your taxidermist. Great for for Husbands & wives with so much to do and see while your here, father son or daughter hunts , can book the whole lodge with a group of 6. Very comfortable and personal hunting and lodging, we will make your stay a wonderful experience. we offer the best trophy elk hunt for the price. prices include all lodging ,meals, 1 on 1 guiding, field prep of your elk, We have had 100% hunter satisfaction and success for the past 25 years. 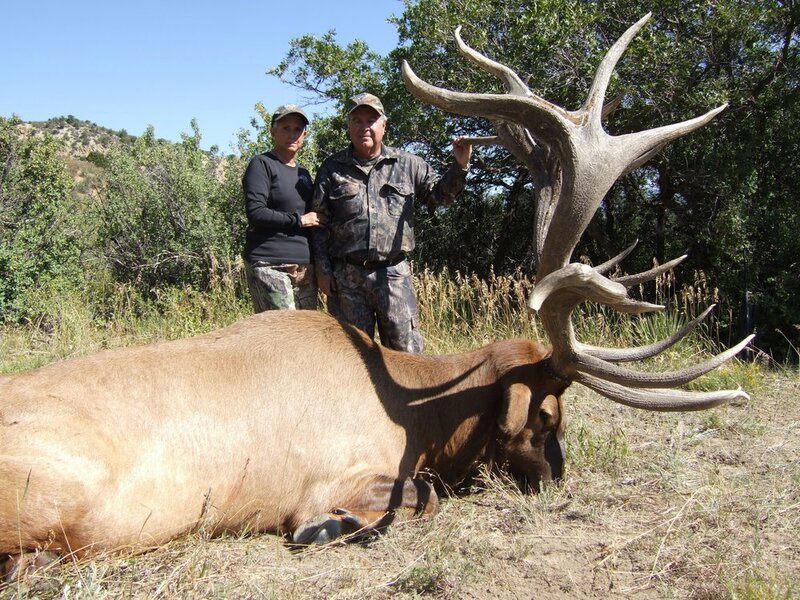 BULL basin ranch with lee cox is the premier elk hunting FOR A GREAT HUNTING EXPERIENCE, AND for huge trophy bull elk Specializing in 400 plus bulls. We are all about the quality hunting experience and with more elk in the record books than all other ranches in north America combined HUGE BULLS & THE A EXCEPTIONAL hunt! Call or email for full pricing!